Hundreds of historic buildings throughout this county are threatened by causes ranging from abandonment to mansionization. These 12 are the ones keeping me up at night. Some are amazing marvels hidden behind board-up, some are tiny treasures versus development pressures, and some are just coolness owned by people who don’t care about coolness. They all add to our city’s history. 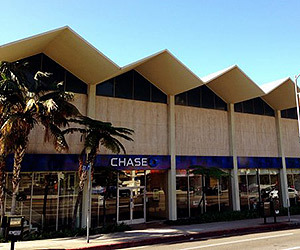 Architect Kurt Meyer designed the zigzag roof and glass box of Lytton Savings in 1959 as the flagship of the S&L chain. A few years later, artist Ed Ruscha captured the architecture in his book Every Building On The Sunset Strip. 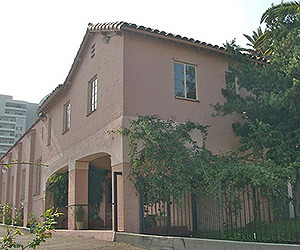 Owner Bart Lytton was a patron of the arts in Los Angeles and hoped to open his own museum behind the bank. The complex, on the site of the historic Garden of Allah apartments, is now proposed for a high-rise development. This rococo movie palace was opened by Warner Bros. in 1928 and seated 2,350 patrons in opulent comfort. Underground Metro construction and the Northridge earthquake were cited as reasons for its closure in 1994. 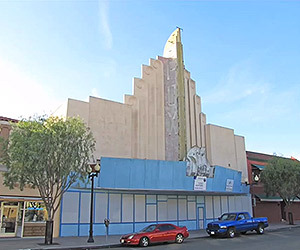 It reopened briefly as a screening room for USC and then a church before being shuttered again in 2013. Eating in this charming post and beam marvel with a lush central atrium was like being invited to a Mexican dinner in a Case Study House. Run by the same family from 1960 to 2005, the restaurant closed in 2014 with the property being marketed as a development site. 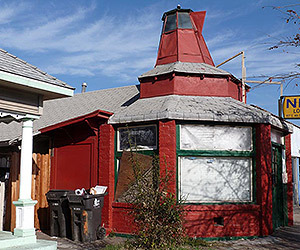 This rare example of a programmatic building in the shape of a coffee pot is deteriorating fast under an uninterested owner. Another giant object building, the Idle Hour in North Hollywood, is about to open after a $1 million dollar restoration. 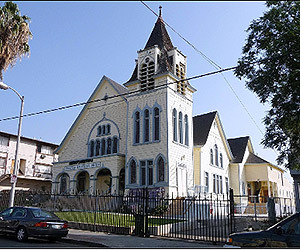 This 120-year-old church building in Boyle Heights has stained glass, Gothic, Romanesque, and Craftsman details but has sat empty for years. The adjacent parish house was recently gutted. Say, this sounds like a new home for Church on York. 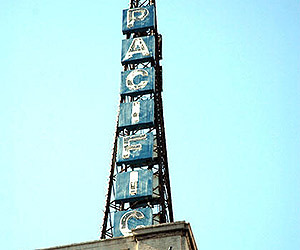 Architect Welton Becket designed the Capitol Records building, the Pan Pacific Auditorium, and the Cinerama Dome. 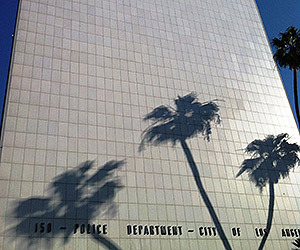 His firm also created the modernist police headquarters that served Los Angeles for almost 50 years. 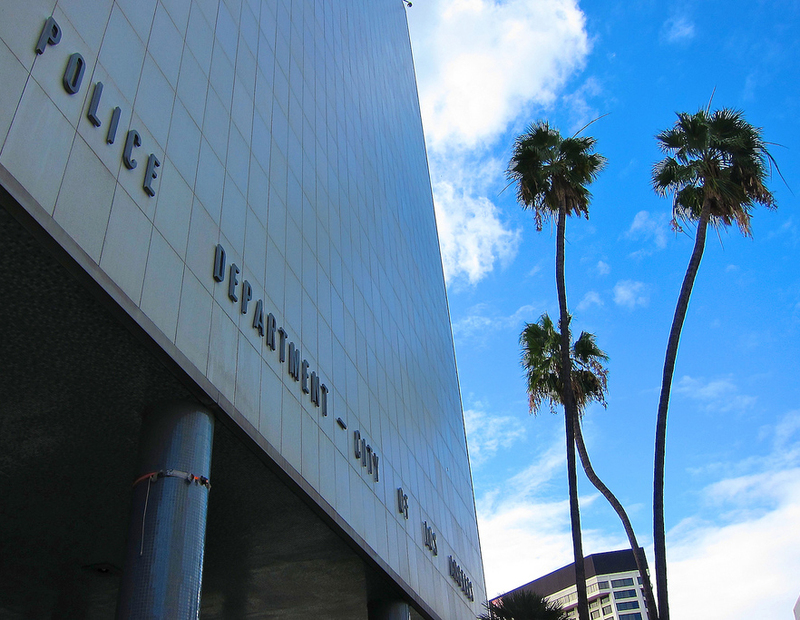 The facility was the TV home of Joe Friday of Dragnet, and completely state of the art and filled with artwork, including a 36- foot mosaic by Joseph Young depicting the architectural history of Los Angeles. The city is proposing demolition and replacement with an office tower. This sweet little streamline number has been hidden behind trees for so many years it’s almost invisible. Designed by architect Welton Becket in 1938, it was an innovative dog and cat hospital for many years. Developers wish to include it in a massive redevelopment along Melrose and Santa Monica Boulevards, between Doheny and Almont Drive. 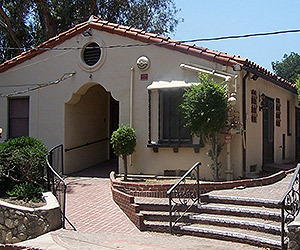 The 1904 Hollywood School For Girls hospitality house and the 1947 Hollywood Women’s Clubhouse are both victims of a dispute among the members of the dwindling organization and have been damaged by years of deferred maintenance. Visiting this long-closed theater is like an adventure alongside Indiana Jones. With yellow work lights strung through the forlorn auditorium, and gaping holes in the plaster, it feels much more like an archaeological dig than a home for fine cinema, but as long as its standing it still has a chance. 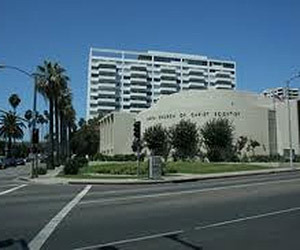 Christian Science churches around the country have been sold and destroyed as the church loses members. 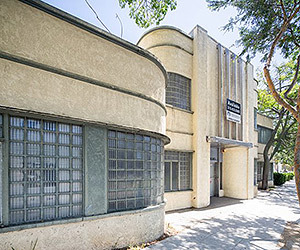 A developer who envisions a high rise on the prominent site now owns their 1959 modernist ministry on Hollywood Boulevard. 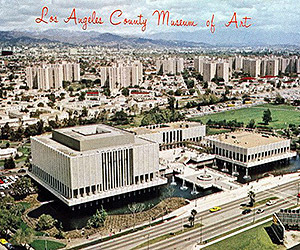 When the Los Angeles County Museum of History, Science, and Art spun off the art division in the 1960s, they asked architect William Pereira to design their magnificent new home in the Miracle Mile. Three elegant pavilions floating on water became the backdrop for the explosion of art here in 60s and 70s. Later expansions hid the originals, which the museum wants to replace with Peter Zumthor’s black blob. Photographs 1, 7, 8, and 12 courtesy Los Angeles Conservancy. Photographs 2, 9, and 11 courtesy hollywoodheritage.com. 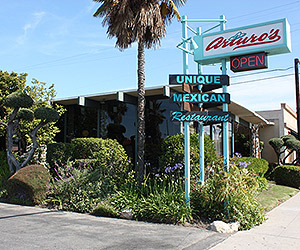 All other photographs courtesy (in order): arturosrestaurant.net, glendalehistorical.org, longbeachheritage.org, preservation.lacity.org, YouTube. Previous articleNorms is Safe for Now!